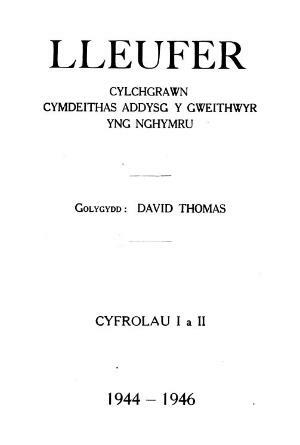 Lleufer was a quarterly Welsh-language journal with general and academic articles, book reviews, poetry and fiction. It includes advertisements and society notes. It was published between 1944 and 1979. Publisher Details: The Workers’ Educational Association was founded in 1903 to promote access to continuing education. Its Welsh branch, Cymdeithas Addysg y Gweithwyr yng Nghymru, was formed in 1907.